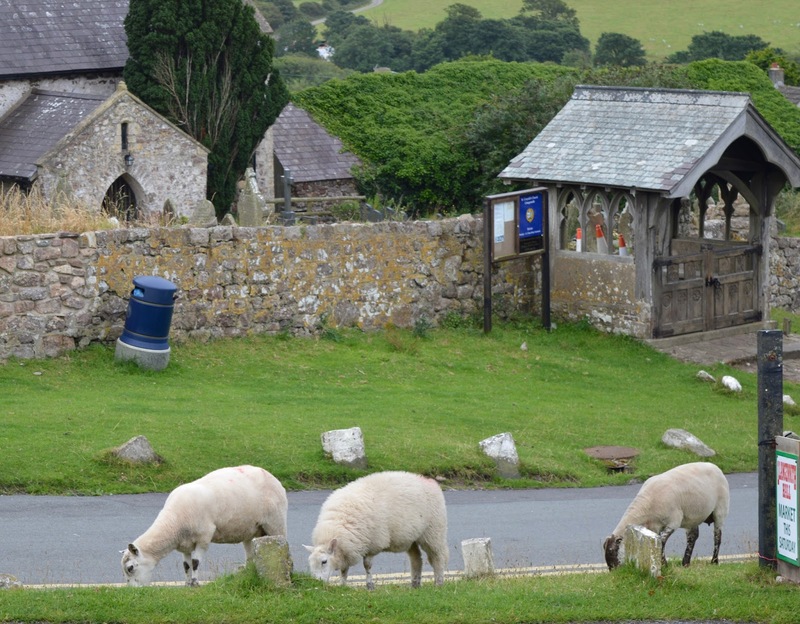 As we were driving down to Wales I decided to check out a few Tripadvisor reviews for The King's Head in Gower where we were going to be spending most of our trip. Nearly all of the reviews were singing their praises and my excitement built. But then I read one comment - there is no phone signal and limited WiFi. Oh no! It honestly did not even occur to me to check that there would be decent WiFi. I kind of just expected it as a given. Suddenly any plans I had to keep up with work went out of the window. We checked into The King's Head after our LONG drive from Northumberland. I was immediately impressed with how welcoming the staff were as they personally showed us to our room - less impressed that the receptionist had no idea where Northumberland was though - I think Visit Northumberland perhaps have some work to do in Wales. After we'd settled in we headed down to the sunny beer garden and first thing's first, I checked my phone signal - no service. I then tried to log onto the WiFi in the beer garden and struggled to connect. I will admit that my heart sank. It's important in my job to stay connected and I had not turned my out of office on my email! I started to worry. I soon realised though that a few days without internet access was not going to be the tragedy I imagined and it turns out that being forced to disconnect from the internet actually did me the world of good as it forced me to re-focus and fully appreciate the time we were spending together. Phone signal is pretty limited throughout the Gower Peninsula but I did realise that I could connect to the pub's WiFi if I sneaked into the main building at 7:30am before everyone else was awake and would start hogging the connection. These 30 minutes every morning were pretty much my only chance to complete my day's work but I managed it and for the rest of the day I actually felt free because I physically could not connect to cyber space. 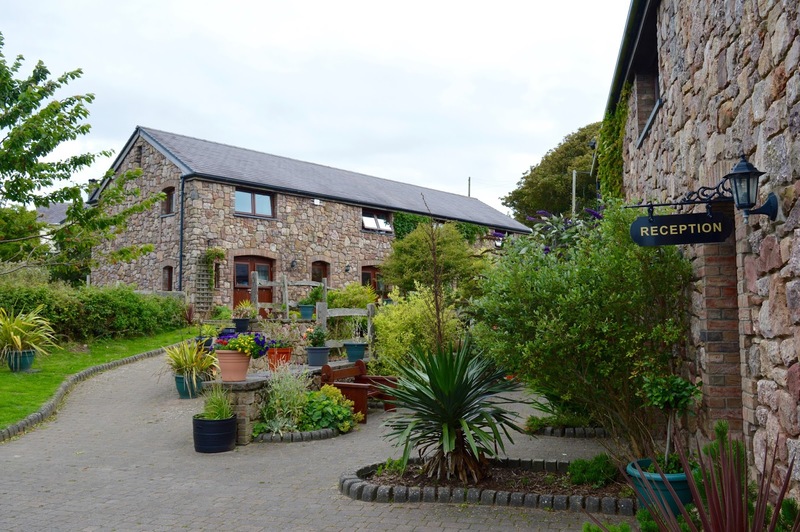 The Gower Heritage Centre is a rather tired but rather sweet little place to spend half a day with the family. 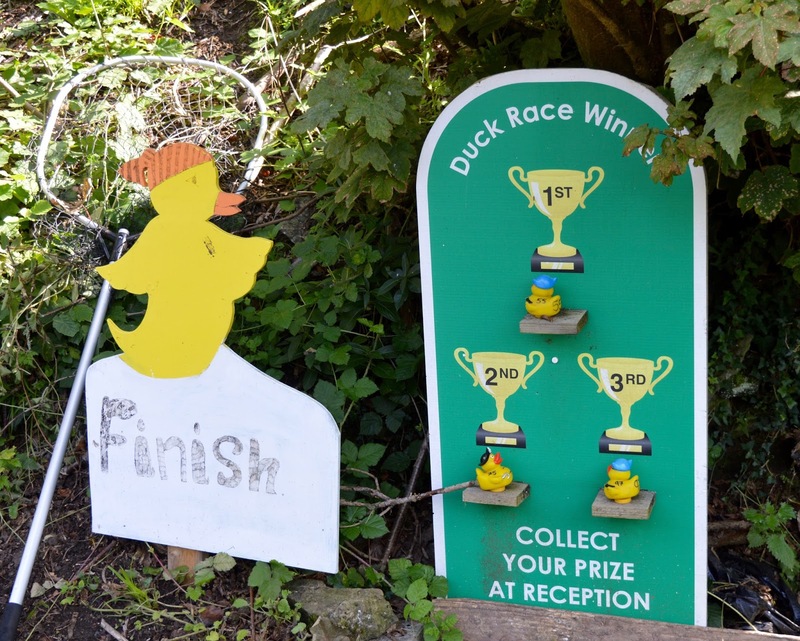 There are a range of activities available and we enjoyed taking part in a traditional duck race as well as sneaking into Wales' smallest cinema to watch Spongebob Squarepants. Happy days! Swansea Bay is full of gorgeous country pubs - The King's Head where we were staying and The King Arthur pub are both superb. 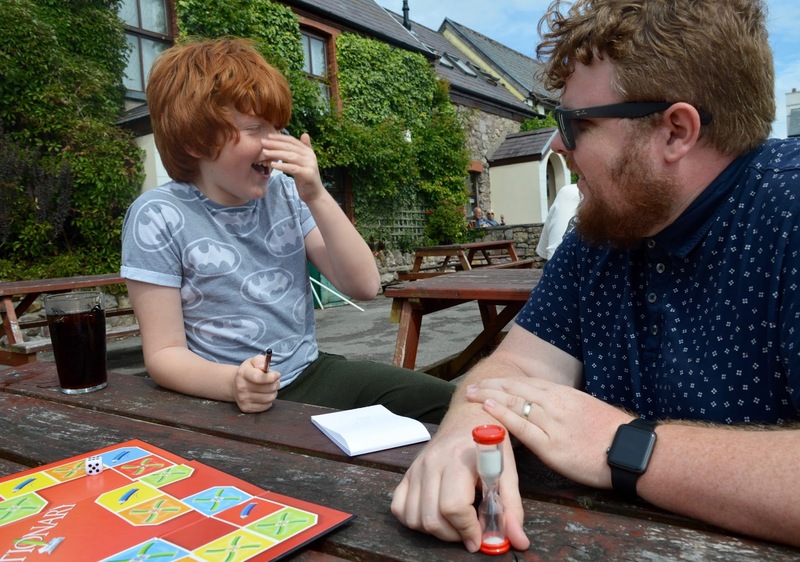 We bought a selection of board games from a charity shop in Mumbles and honestly had the best afternoon just playing together. It's not often we get the chance to do things like this but we've vowed to try and do it more often. 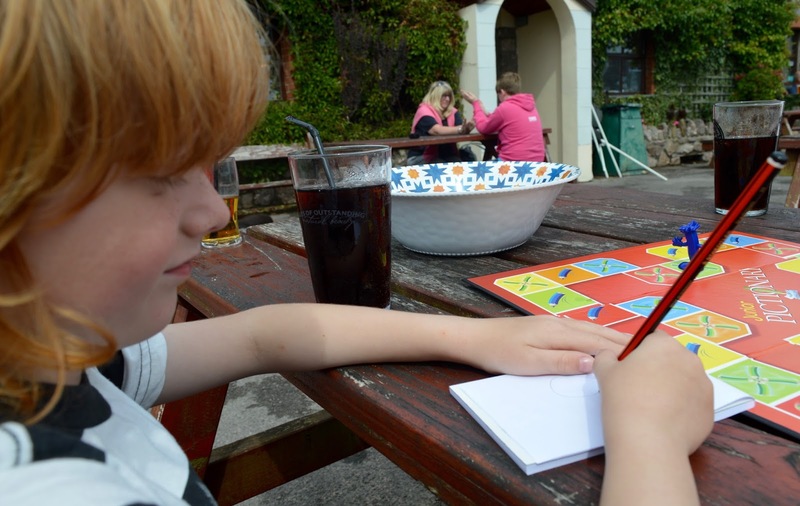 The sun was shining, us grown ups had a nice cold beer and we had so much fun playing Pictionary together. I think we'll remember Jack's interpretation of a bear for many years to come! 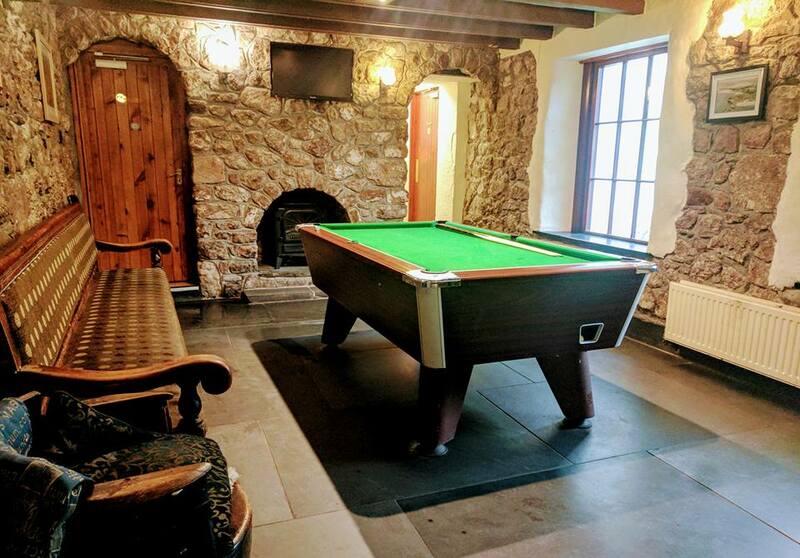 When the weather wasn't so good (let's face it - this is the UK, it's always going to rain at some point), we headed indoors to play Pool or to our room to read our new books (also picked up from the charity shop when we realised there'd be no browsing of the internet on this holiday). It was nice being able to truly relax like this. 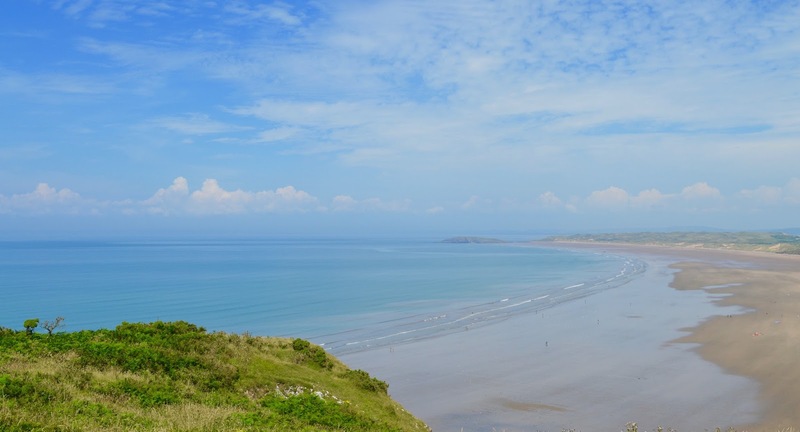 Swansea Bay is home to some of the most breathtaking beaches in the UK. 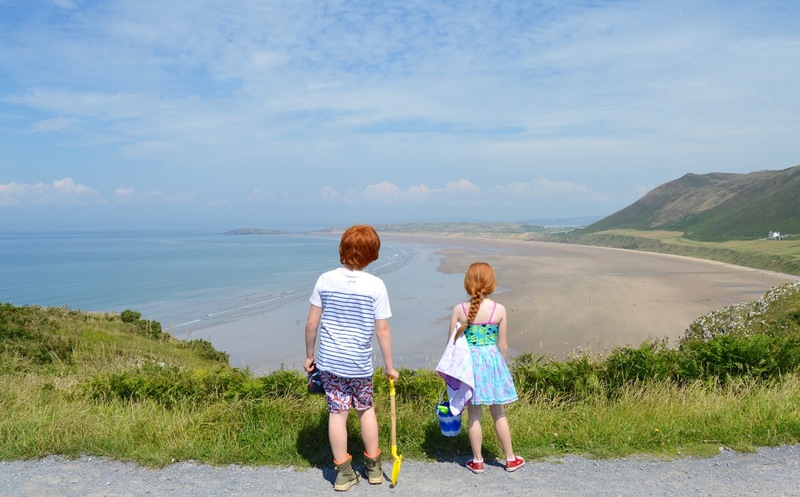 Rhossili Bay has been voted as the 4th best beach in the whole of Britain by Tripadvisor and I have to agree, it's stunning. 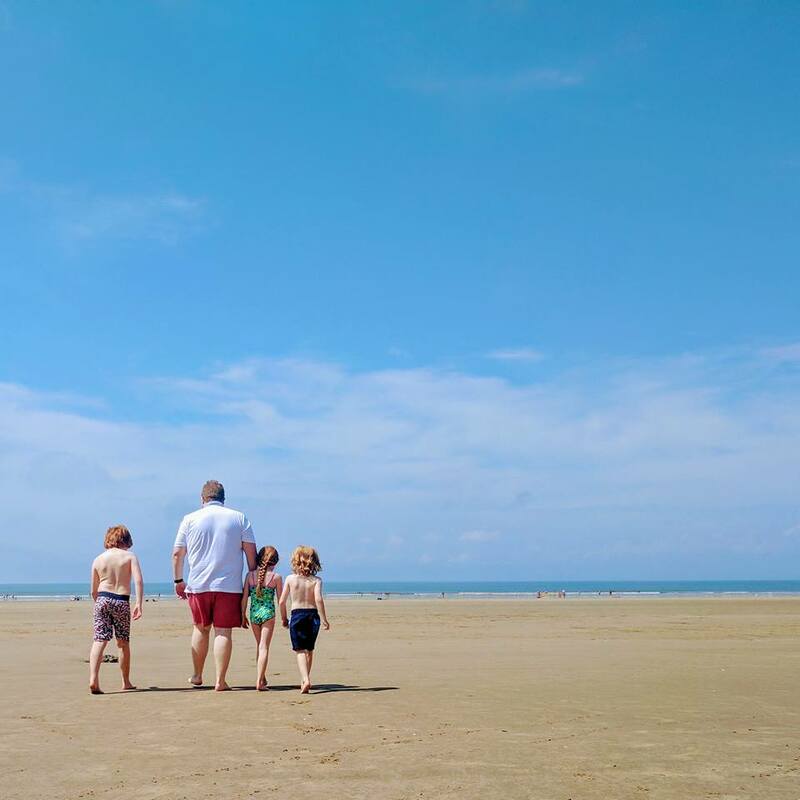 Spending the day at the beach with the family really is one of the best ways you can switch off and unwind. We enjoyed the views and the climb down (climb back up not so much but let's just say it was character building) and spent the afternoon making sand castles and bases. 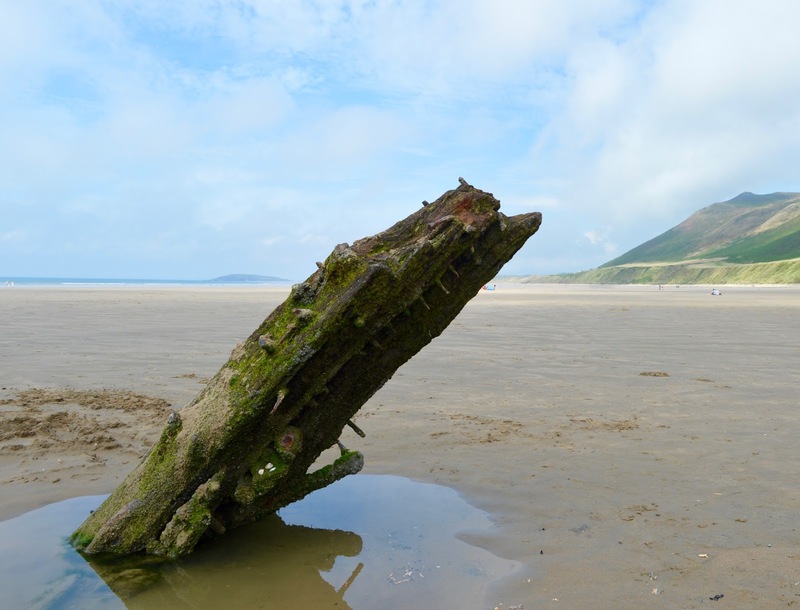 We even stumbled upon a real ship wreck and felt like real explorers. I am not a crafty parent. I am firmly in the camp that crafting is for school or something the kids do themselves. 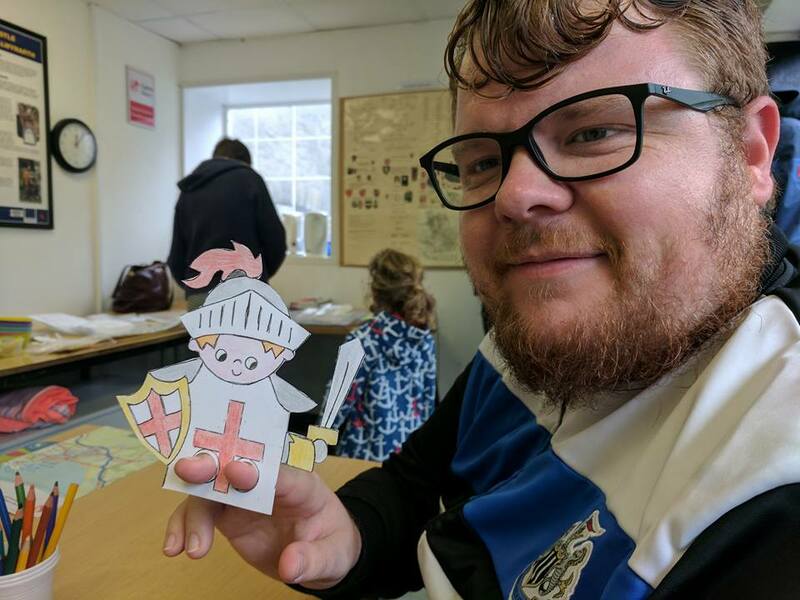 However, during our trip to Oystermouth Castle in Mumbles they were offering craft activities for a small fee and with no phone signal or anything to distract us, Steve and I decided to join the kids and create our own finger puppets. Colouring in is actually very relaxing and we were proud of our efforts. Usually when I drink my coffee I am also either watching TV, working on my laptop or scrolling my phone. 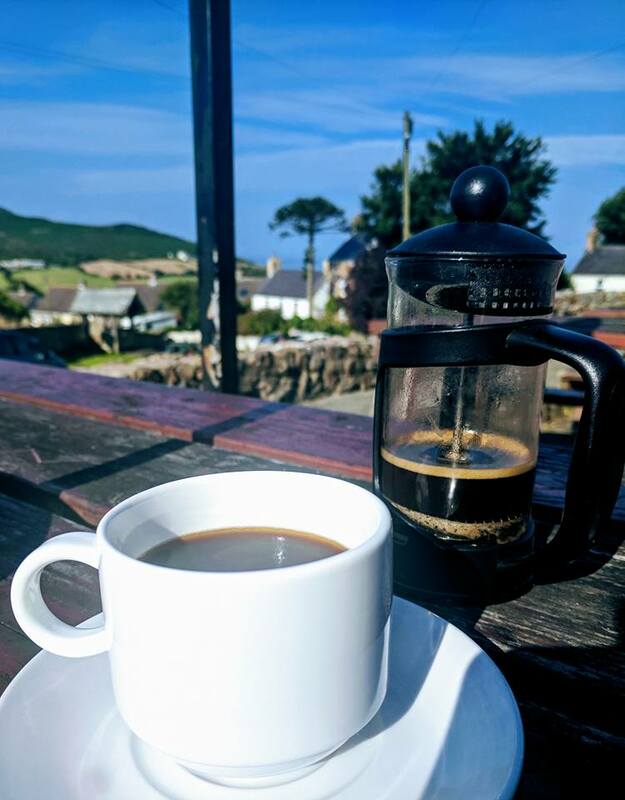 With no internet to distract us, it allowed us the chance to really savour the simple pleasures in life, including a cafetiere of fresh coffee which was offered to us every morning at The King's Head as part of breakfast. It was bliss! I used to sneak mine outside if it was an especially sunny morning. I am really guilty of having my head in my phone. So when this option is taken away, it's really easy to notice and enjoy your surroundings a lot more. 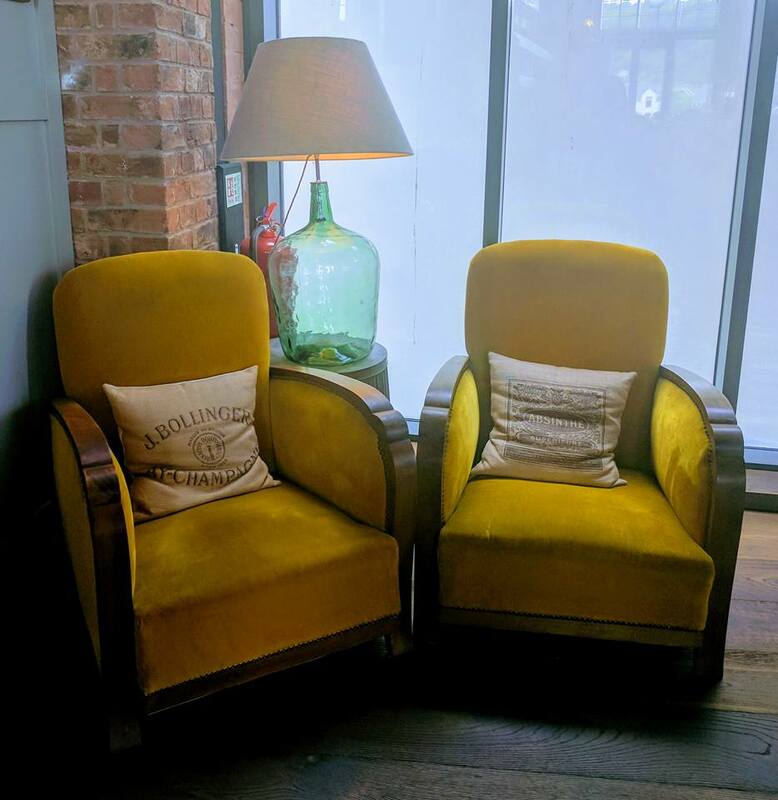 I seemed to take so much more in without my phone being constantly in my hand from these gorgeous chairs in Bistot Pierre to the sheep that toddled past our pub every night. Not having any distractions was a blessing in disguise. Reading this you might think I'm a little obsessed with the internet and if the truth be told, I am. I can cope with planned breaks (and actually really enjoy a planned digital detox) but this unplanned break kind of threw me. It all turned out for the best though and I actually felt like I had a proper holiday and spent some real quality time with Steve and the kids rather than snippets here and there in between working. 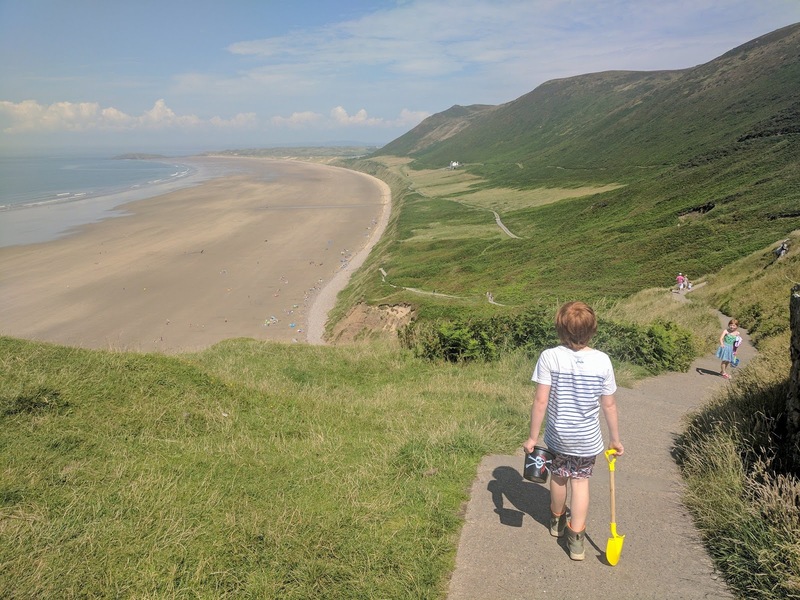 If you're looking for a UK holiday destination where you really can relax and unwind and enjoy some traditional fun with the family, I really cannot recommend a trip to Swansea Bay enough. 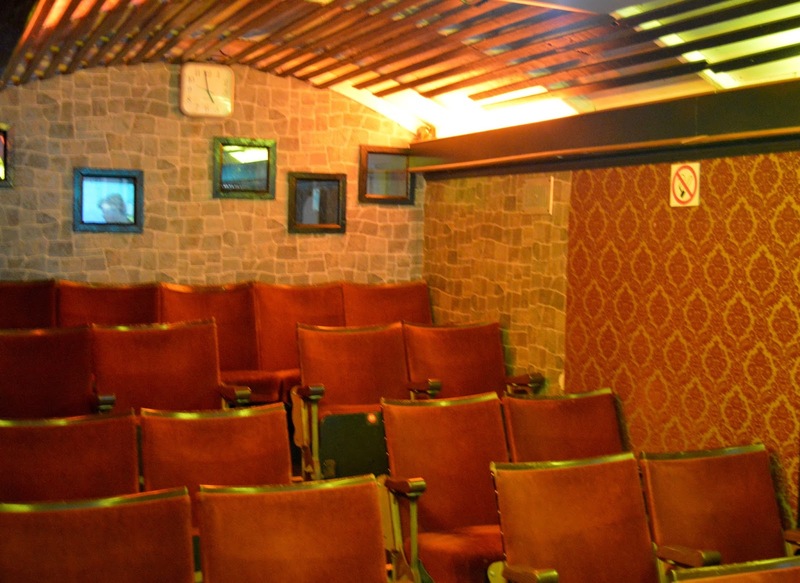 You can find out more via the Visit Swansea Bay website here. OMG your photos are beautiful, so many blue skies! Looks like you had a fantastic time. Glad you managed to cope without the internet in the end! You've got me excited for our holiday to North Wales in a few weeks time! 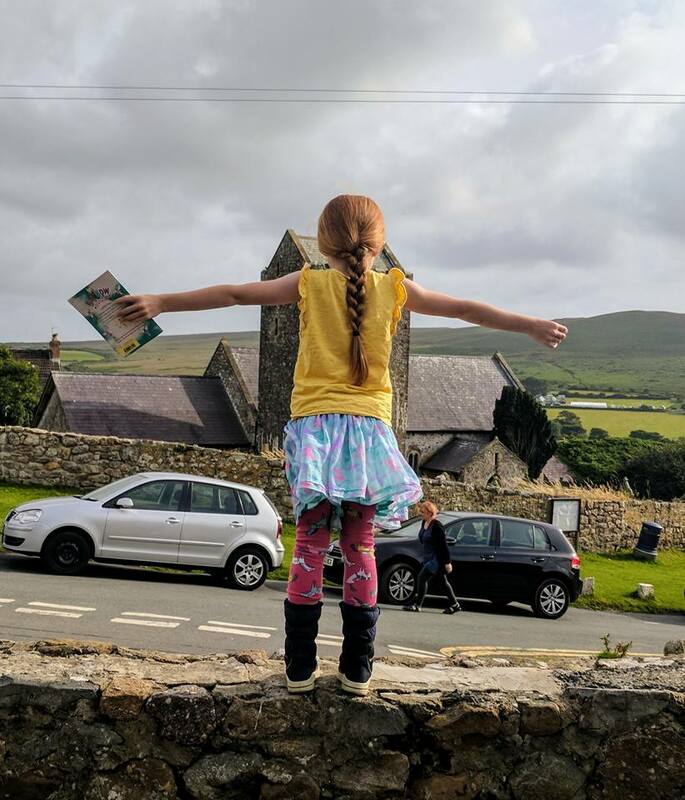 I always love your photos.. we've planned our first ever family holiday (camping) to Wales this summer - can't wait. I can totally appreciate the panic of unplanned WIFI loss but sounds like it was for the best in the end. I have such good memories of the Gower (my phone wants to change that to shower?!?) from my childhood.....good to see it's just as fun now! We had dinner at the King's Head when we went to the Gower 18 months ago, and I did think that it would be a great place to stay. No Wi-Fi sounds very appealing to me! Tee hee though - those Welshies, and their lack of awareness about Northumberland! My holidays are never really holidays unless I am forced offline. I love the liberation of it! I had this in France recently. It was a struggle to get back online when I came home and did have wifi. The Gower is beautiful - what better place to get your head out of your phone! unplanned for wifi is always tough but can have wonderful results! .. I live in Northern Alberta Canada and one day I will stroll along that beach actually I will touch the soil of the Gower .. thank you for sharing your beautiful pictures ..